Northstar Polymers is a formulator, manufacturer, and supplier of polyurethane raw materials. With over 40 years of experience in custom formulating and molding polyurethane resins, Northstar Polymers is your best choice when evaluating suppliers of polymer systems! Northstar Polymers welcomes all types of manufacturers. Northstar Polymers formulates, manufactures, and supplies a variety of polyurethane resins. We supply various levels of raw materials from basic raw chemicals to casting kit components. Our range of formulations include polyurethane gel, foam, and non-foam casting resin systems as well as prepolymers, curing agents, and raw materials for a wide range of polyurethane materials. 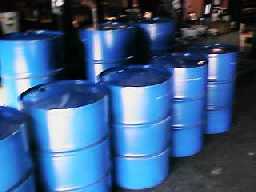 We provide a wide range of polyurethane materials for various parts and products in many different industries. Our customers use our polyurethane materials to make various parts and products including adhesives, sealants, coatings, semi-medical products, molds for concrete parts production, bulk material handling parts and liners, automobile accessories, sheets and rolls, novelty products, POP advertisement, prototypes, electronic component, and many more. Northstar Polymers deals with highly experienced polyurethane specialists as well as people with less or no experience with the material. Feel free to call Northstar Polymers to ask questions. Northstar Polymers works with manufacturers, designers, and engineers to create the best-fit formula for the applications. Through cooperative development environment with our customers, we establish strong relationships that are essential to the success of the project. Many companies trust our professionalism and experience in polyurethane formulating. 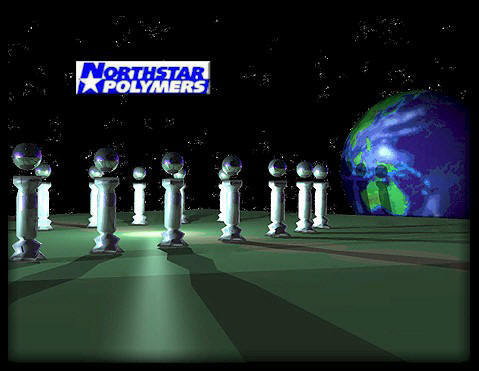 Northstar Polymers is born from a polyurethane molding company with 40+ years of experience. Our knowledge of casting/molding applications from the long experience is shared with our customers to help establish new manufacturing operations and projects. Click here for the introduction letter by the founder. Copy right reserved by Northstar Polymers 2000 - 2017. Northstar Polymers prohibits duplication of the contents of this web site for the purposes of public display and/or using on another web site without a written authorization by Northstar Polymers.